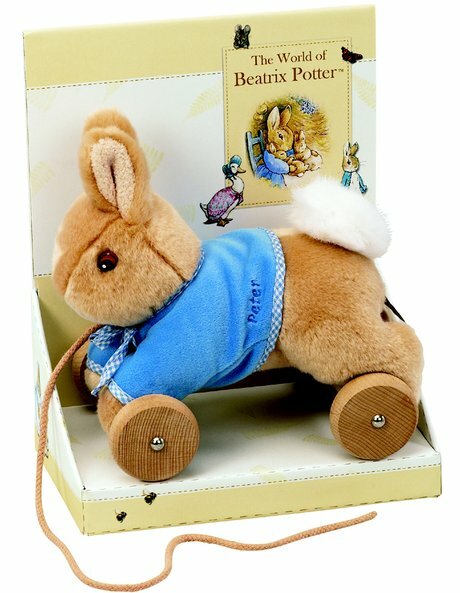 Bringing the magic of story-telling to life, the beautifully crafted BEATRIX POTTER Pull Along Peter Rabbit will provide endless hours of fun for your little one. A true depiction of the cheeky Peter Rabbit, this toy can be pulled along by a drawstring so your bub can take him anywhere. This toy offers hand eye coordination stimulation, which will help assist with the educational needs of your child.